Picking up right where he left off in September, 2014, Mike “Nick” Nicholas has corralled his troops and headed back to Georgetown, Colorado, for the third in a series of recreations of the famous Hot Rod Hill Climbs up Leavenworth Mountain. 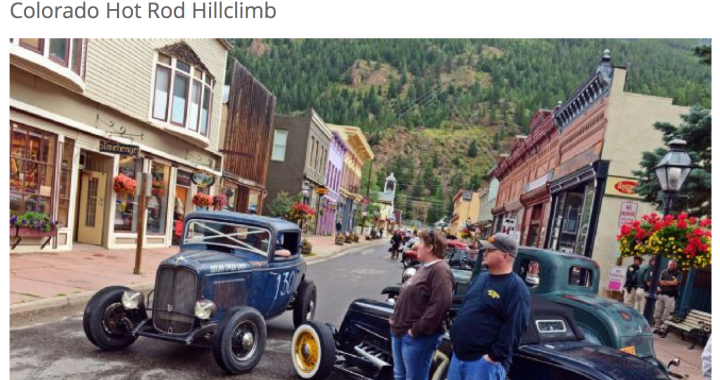 The quiet, quirky hamlet of Georgetown is now under siege by a legion of hot rodders and their trusty rides, all ready to do battle with the 1,000+ foot rise up Guanella Pass Road, just like their peers did more than 60 years ago. Posted in All Posts, Event, News.